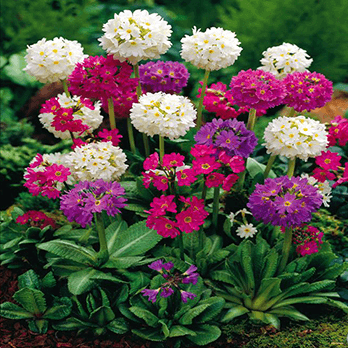 Also known as the Drumstick Primrose, this colourful, easy to grow plant has globular flowers up to 3inches wide in shades of purple through to white. It is a semi evergreen perennial, and reaches a height of 30cm. It will thrive in almost any situation, from full sun to partial shade, moist poorly drained soil to well drained moist soil. 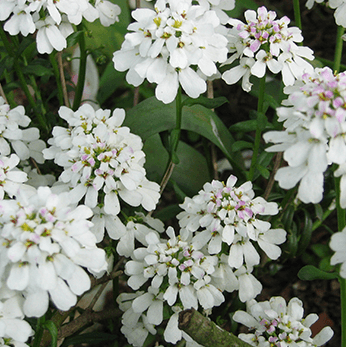 This spreading plant, commonly known as Candytuft, is ideal for rockeries where it can tumble over rocks, or planted to spread over paving or grown down or in a wall. Bearing white flowers from April to June, it brightens up even the dreariest garden. 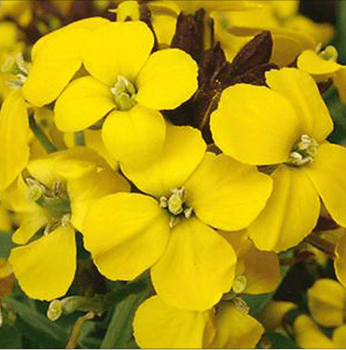 This popular clump forming fragrant perennial has narrow, dark green foliage with clusters of canary yellow flowers. 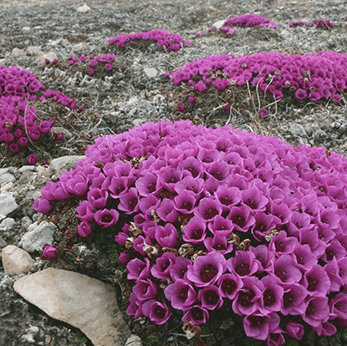 This plant hails from the mountainous regions, hence their low growing, wide spreading habit. The leaves form a compact rosette or mossy mat and from this, produce upright stalks bearing loose clusters of starry flowers ranging in colour from red, pink, yellow or white purple. Ideal; for rockeries, walls or in between flagstones. Plant in a moist, partially shaded position. Also known as Elephant’s Ears, this low growing, sturdy evergreen perennial is ideal for ground cover, suppressing weed growth and providing year round colour. 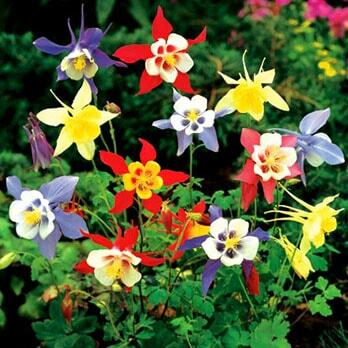 It thrives in moist soil, in full sun or partial shade. The flowers which appear in spring can be shades of red, pink, purple or white and are borne in drooping sprays. 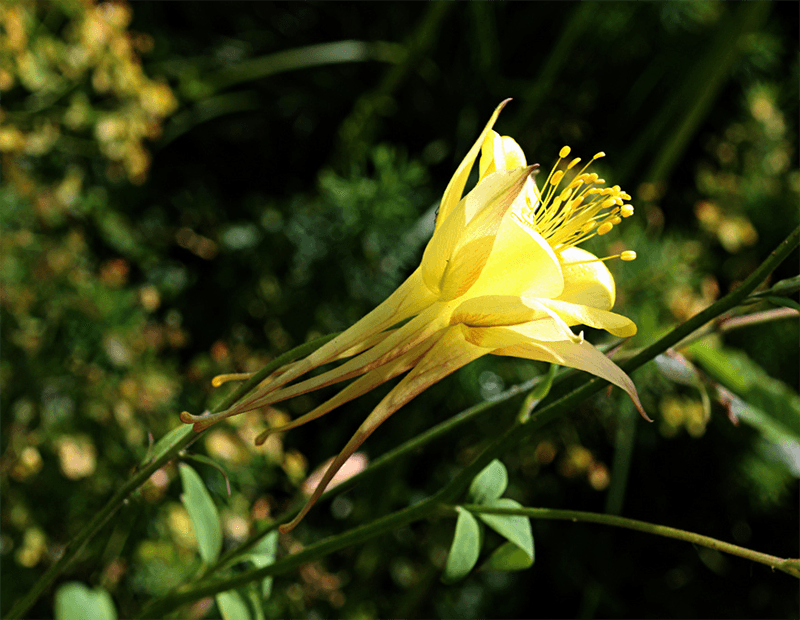 A low growing, spreading plant which is excellent for growing cascading over a wall or in a rockery. The downy leaves are grey/green and in between March and June, are covered with masses of purple, pink or white blooms. Cut back hard after flowering to keep compact, and divide clumps in autumn. 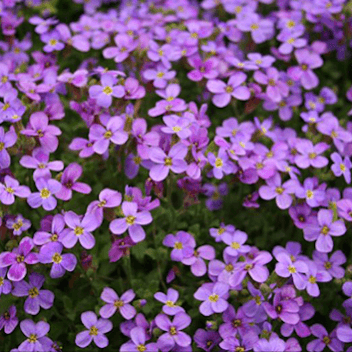 Also known as Rock Cress, this popular low growing grey leaved rockery plant forms a carpet of pink, purple or white flowers from March to April. 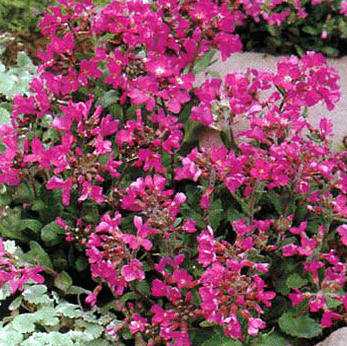 Arabis will thrive in full sun or shade, in any well drained soil. 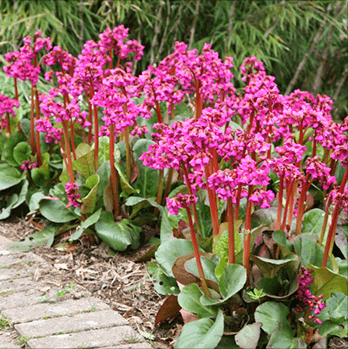 It brightens up any rockery or border and is popular planted in walls and spring containers. Hardy evergreen perennials with narrow greyish leaves. The flower stems bear single or double flowers in white, pink, purple, yellow, red, or orange. Dead head regularly to encourage new buds. Flowers from Spring to Autumn. Prefers well drained soil in partial shade. Hardy evergreen perennials bearing narrow fleshy leaves which form a rosette. Flowers appear on long stems from Spring to Summer. 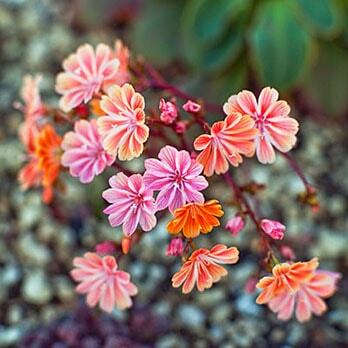 Lewisia prefers a sunny spot with and drained soil. 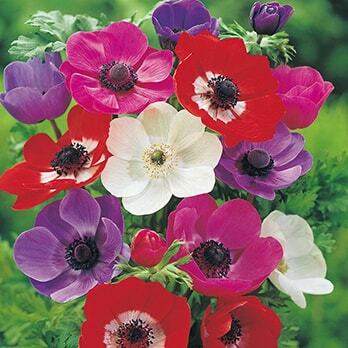 Vibrant flowers from spring to early summer, Anemone is tolerant of partial shade and prefers moist but well drained soil. Ideal for borders and containers. 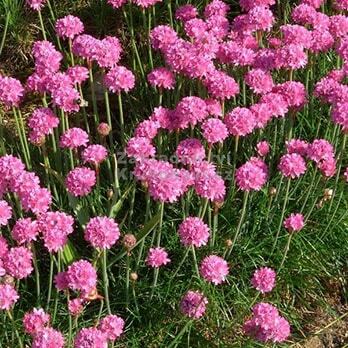 This evergreen perennial with long stalked dense clusters of pink, white, or purple flowers from spring to early summer. Prefers a sunny site and well drained soil. This clump forming colourful perennial, produces long leafy stems and bell shaped flowers from Spring through to Summer. Numerous varieties some ideal for rockeries others for borders and containers. 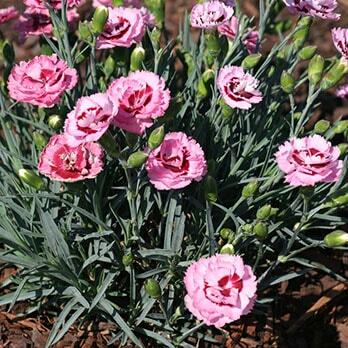 All are tolerant of partial shade and prefer moist well drained soil.